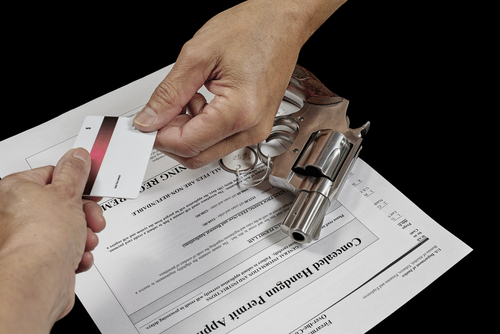 Deciding to purchase your first firearm can be a difficult task. There is a lot of red tape to cut through in the process. However, you can make it a little bit easier by thinking ahead and being organized about everything. 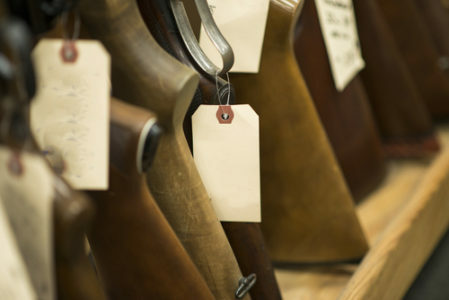 Since East Coast Firearms is the leading provider of firearms in Dutchess County, New York, we have seen a lot of first time firearm buyers make the same mistakes. Below, we will point out those mistakes so you can avoid them when you purchase your first gun. sport shooting, you may want something like a .22 LR. Always ask your retailer for suggestions about what the right option is for you. If you know what your basic requirements are, then you can find some great bargains on firearms. Be careful though. Salesmen can often try to take advantage of a novice shooter. Keep the basics in mind and just buy what you need rather than what the salesperson tries to talk you into. Also be mindful of paying for name brand weapons. You may not need one of those for your chosen activity. There are plenty of off-brands that will work just fine for you. It is important, however, to make an informed decision. If you want to be a shooter, it is incredibly important that you receive proper training. Many people make a lot of mistakes when owning a gun for the first time. Go to a shooting range and take necessary training. Follow all the storage instructions as well. While it is our right to own a firearm, we have a major responsibility here. It is vital that we be responsible to ourselves and other citizens by handling our firearms properly. We want to prevent accidents, not create them. So with training, we can come to understand the safe way to handle and store our firearms. When purchasing a firearm, not only do you need to know how to handle and store it, but what kind of ammo it takes as well. Ask questions when you are unsure about something. When you buy your new gun, ask about appropriate ammunition. It truly depends, again, on what you are using the gun for. What is most important of all is to make sure you aren’t loading the wrong ammunition into the weapon. You should match the age and condition of the gun to the proper loads to avoid over-pressure issues. Many accidents can happen if you do not maintain your gun properly. Modern firearms are designed to function well, and with the right amount of maintenance you can keep it that way. You don’t have to over clean your gun, but it is important to do so regularly. Every time you shoot a few hundred rounds through a gun, you should detail clean the internals that you can reach. The barrel and chamber should be cleaned after each time you shoot. Be sure to remove all powder residue from the basic components. Buying a gun for the first time will be easy for you if you are smart about it. As the leading retailer of firearms in Dutchess County, New York, East Coast Firearms is happy to assist you in the process. Call us anytime, or come check out our diverse showroom.